My beloved precious camera arrived yesterday, and it works. Tomorrow I will have pictures to share. that we’ve been there, we could offer suggestions. Just a thought. So, today’s Nosy question comes straight from Jerry. What are some “must see” places you have been durning your vacations or travels that if someone were to go there, you’d suggest they go? OH, and Jerry, now is the time to tell us all about Williamsburg! Good grief, where did October go? 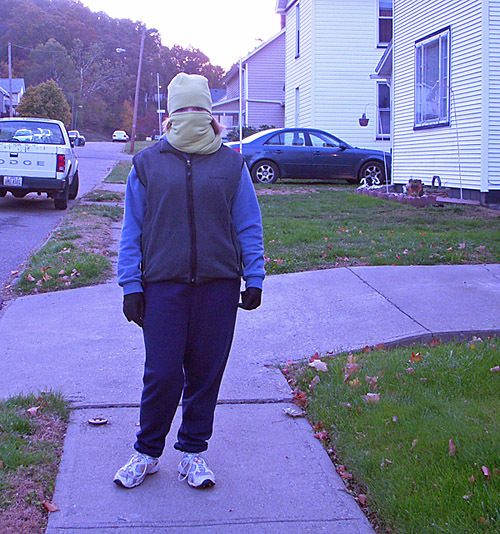 Every morning, Monday through Friday, the girl and I go out for exercise. I, being the Queen of DeNile, not wanting to acknowledge that winter is on its way, throw on a pair of gloves, grab my walking stick (thank you Ginger) and am on my merry way. The girl, however, is a different story. To say that I am frugal is to say that pink is a nice color, or chocolate is a nice after dinner treat. No, I am very frugal. Not to an extreme measure like Amy Dacyczyn of the Tightwad Gazette fame. (Although I do have all three of her books, and have them highlighted) Her books opened the frugality door a bit wider in my world. I do some of the things that she suggests, but not all. About 8 years ago, Superman had neck surgery and he was out of work for 3 months. That was the worst year, financially, of our marriage. We literally had nothing, and I vowed like Scarlett O’Hara that we would never be hungry again. In today’s economy, I think everyone is beginning to rethink how they do things. Especially grocery shopping. This week someone asked me how I can make all the things I post on my blog and not go broke. It isn’t a miracle like someone suggested, I just shop differently. After Superman’s surgery, and reading all my Tightwad Gazettes, I took one of her suggestions to heart and I have never looked back. First I shop at Aldi. If you are not fortunate enough to have an Aldi in your area, Save-A-Lot is the next best thing. I have never seen another store be able to compare in price over all, to Aldi. Many people don’t want to give up their name brand items. Many site that store brands don’t taste good or they are a little ‘off’. Just because a store brand doesn’t taste the same as a name brand doesn’t mean that it tastes bad, it just tastes different. This doesn’t mean that I don’t have name brands. I have about 5 bags of Ghiradelli chocolate in my pantry. (It went on sale.) I also have about 50 pounds of Gold Metal flour. It was on sale, cheaper than I could get at Aldi. My grocery cart rarely looks like a normal persons. When I find flour on sale (and it has to be a good sale) I won’t just buy 2 bags, I buy 10. When butter goes on sale, I buy 40 pounds and freeze it. Same with sugar, etc. I wasn’t able to do that in the beginning. When we began to recover, financially, from Superman’s surgery I started slow. I’d go to the store, and purchase my regular amount of groceries and add a couple of cans of tuna, or green beans, or bags of flour till I was stocked to the point of having enough in my pantry till another huge sale came along. One thing that always works in my favor is Thanksgiving and Christmas. Basic baking staples always go on sale around this time, and I am the freaky woman who is shoveling flour and sugar in her cart. It is also at this time that I stock up on nuts. It took about a year or so to get to that point, and it was a struggle at times to get there. There have been years that we have eaten straight from the pantry for months at a time because I couldn’t afford to go to the grocery. One of the other things that helps me to be able to stock up like this, is I try to put back money for this specific purpose. When times are lean, I only stick back $1-5. When Superman gets overtime, I stick back $20. That way, I am not taking $$ away from any other area. This is what works for me. It might not work for you, but I hope that I have been able to encourage you, to get some thoughts flowing on how you can save some $$ at the grocery. Next time, I’ll talk about how I save on cleaning supplies, etc. I have no cute story for today, because today we are talking about Chocolate. 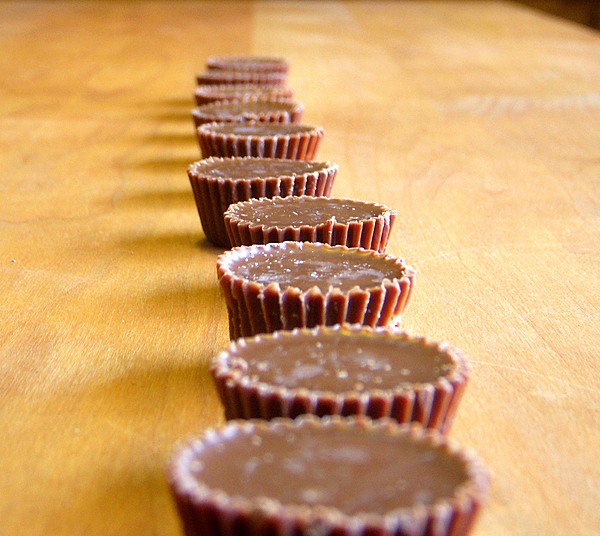 Specifically chocolate and peanut butter. 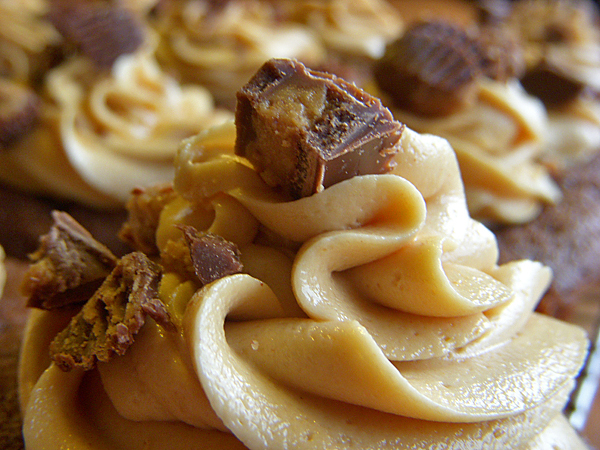 And when I talk about chocolate (and peanut butter), everything else leaves my brain. 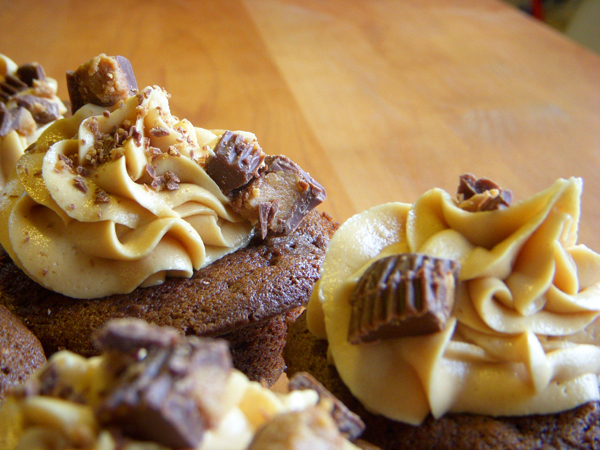 Clara from I ♥ Food4thought picked today’s TWD and she picked Chocolate Chocolate Cupcakes. I put a lot of thought into these cupcakes, as 1. they are chocolate and I wanted them to be fabulous, and 2. they are chocolate and I wanted them to be fabulous. Many people said that this recipe was dry to them, so I substituted half of the butter with oil. Some people filled them with marshmallow cream, some suggested putting an Andes mint in the middle, some didn’t fill them at all, but as you can see…I did! And as you can clearly see, I got a bit over zealous. Which in turn made them a bit difficult to de-pan. Which is fine with me, as cook cleans up the crumbs. Then I had to think about the icing. 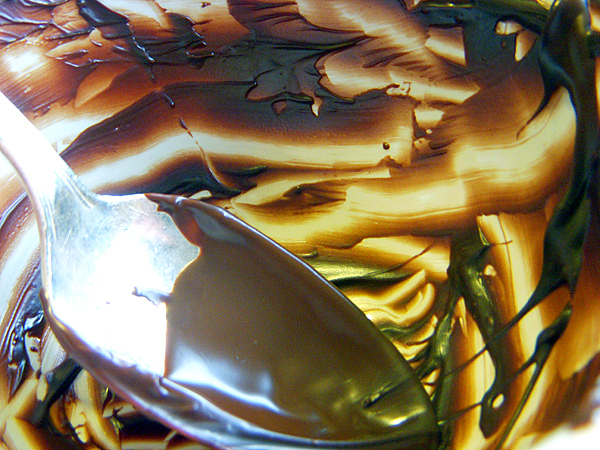 See, it the recipe calls for a ganache. Ganache has its place, and I do like a good ganache~~in truffles~~but not as a topping for a cake, or a cupcake. Cakes and cupcakes must have a ooooey-gooey icing. Must. I think I read it in the rules…somewhere. I had to consider what kind of icing these cupcakes deserved. I thought about taking marshmallow fluff and mixing it with some peanut butter, but then I wasn’t quite sure of proportions. 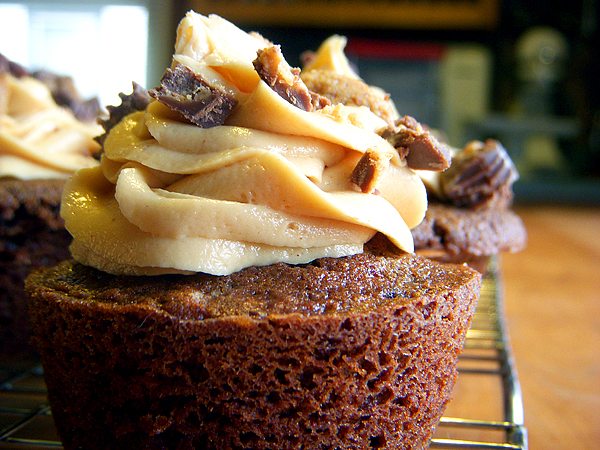 Then I considered doing a chocolate icing with some peanut butter in it, but thought that might be over the top. So I consulted my good friend Google. Google suggested many things, including my new favorite frosting. Cream first 4 ingredients together. Add salt and sugar. Mix well. Icing will be very stiff. Add at least 2 tbsp. ½ and ½ or more till you get the consistency you like. If you want to make them, go check out Clara’s blog. She has the recipe. October is pastor appreciation month, so yesterday in Sunday School, we had a tea party for our pastor’s wife. One of the things brought out in the small devotional that was given, was that we really need to be grateful for others around us. Are you thankful for the people in your life? Do you encourage those around you? Do you let the special people know just how special they are to you? how happy you are that they are in your life? How often do you encourage someone? How often do you let others know you care? Take time to let them know. Send a card, send a wee giftie, tell them verbally, give a hug, but do something. It will bless them, but it will also bless you in return. Then continue to do it, because those in our lives need to know we care. Once just isn’t enough. PS. I made some Orange muffins for the tea. Several ladies were asking for the recipe. I got the recipe from here. 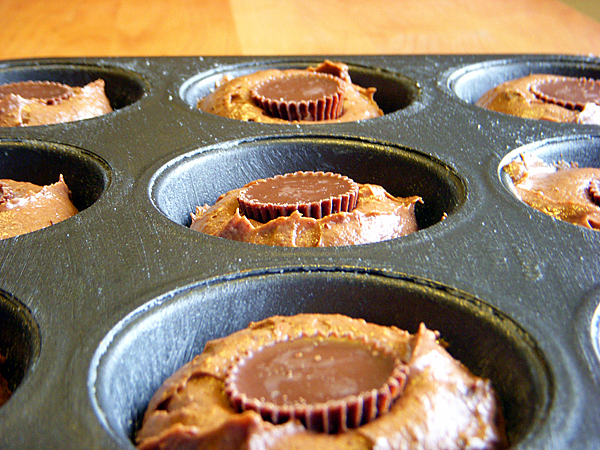 I love them because they are a one bowl muffin, and you don’t even need to get out a mixer. ~~Ok, ok, ok…I got out my little hand mixer, because I’m a princess in hiding, and I didn’t want to have to put out the effort of creaming the butter and sugar with a wooden spoon. I have done it before with the wooden spoon, but…have I mentioned I’m lazy? Cream butter and sugar. Add eggs and mix well. Mix in butter milk. Add flour, soda and orange zest. Stir till just combined. 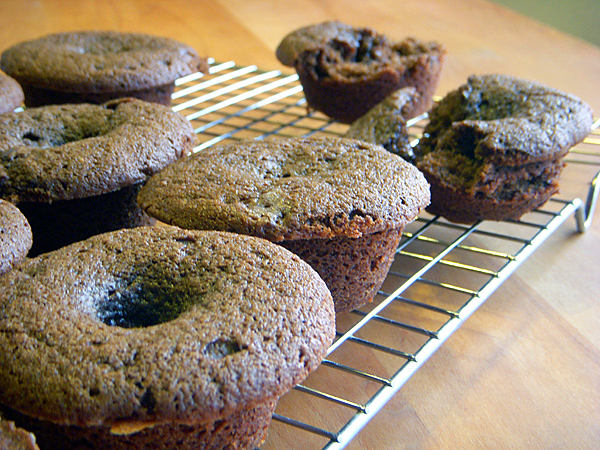 Grease your mini muffin tins and fill 2/3 full. Bake for 12-15 minutes @ 375º. Stir orange juice and brown sugar together. Take muffins from oven, and immediately top with glaze. Remove from pans and cool slightly. 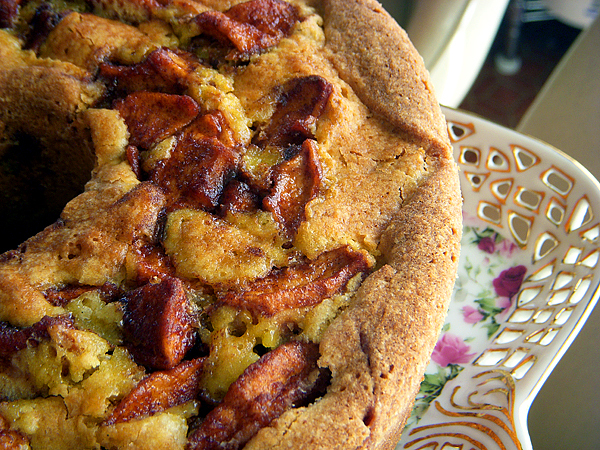 Do you have a bunch of apples in your kitchen and don’t know what to do with them? 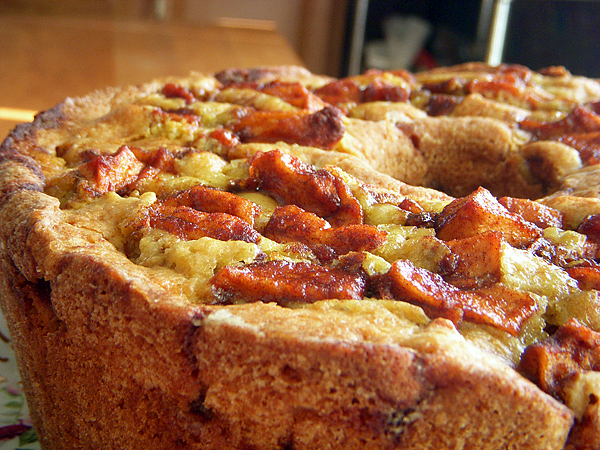 But not just any apple cake, specifically this apple cake. I have never had an apple cake that tasted so good. It is also good the second day, and the third day. I couldn’t tell you about the 4th day, though.